UP Polytechnic Result 2018 for admission into engineering and management diploma courses in Uttar Pradesh will be released soon. As per the official brochure, UPJEEP Result is likely to be declared in the Third week of May for the entrance exam held on 22 April 2018. 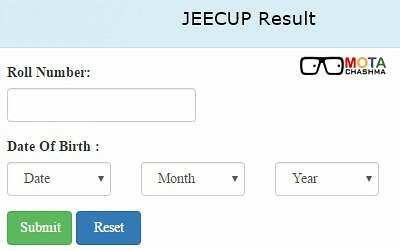 JEECUP Answer Key 2018 (official) will also be released along with JEECUP Result. Also, check the list of UP Polytechnic colleges and seat intake. Click here for all the latest updates regarding JEECUP 2018. Here is everything you need to know about UP Polytechnic Result 2018. JEECUP is Joint Entrance Exam Council Uttar Pradesh which is the conducting body of Uttar Pradesh Joint Entrance Examination Polytechnic (UPJEEP). UP PolytechnicResult is likely to be declared in the third week of May 2018. UP Polytechnic /JEECUP Result contains actual marks obtained in the entrance exam and qualifying status for counselling of the candidate. JEECUP Answer Key 2018 (official) will be released along with UP Polytechnic Result. Qualified candidates will be called for JEECUP Counselling as per schedule. UP Polytechnic Scorecard/rank card will not be dispatched to the candidates. It can only be downloaded online. The link for the same is given below. In case of any query regarding this news, you can write to us in the comment section below.